Firefighters along the Garden Route and Kouga Municipality will be on high alert to prevent further fires as strong winds are expected from tomorrow morning. Spokesman for the Port Elizabeth weather office Garth Sampson said the wind is expected to pick up around 4am, increasing the danger of fires flaring up along the coast and adjacent interior. “Wind speeds of up to 25 knots (46 km/h) can be expected, with gusts reaching up to 45 knots (83 km/h). Definitely not ideal conditions for the current fire fighting effort,” said Sampson. He said municipal officials and emergency services have been notified of the situation. 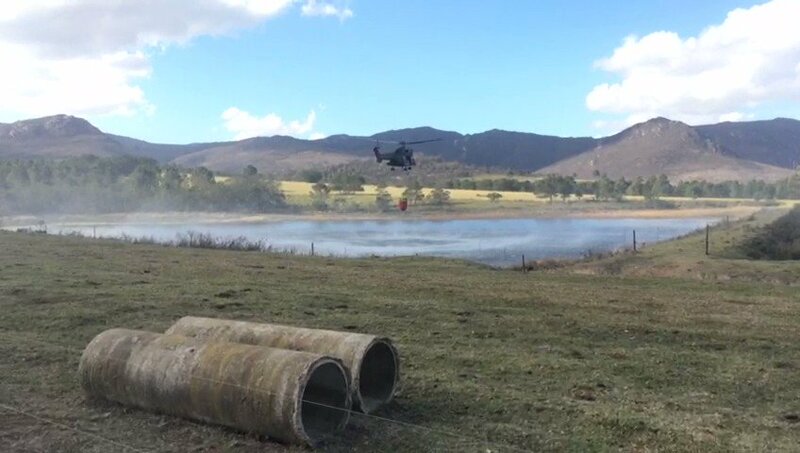 Helicopters and fire fighters are currently dousing areas identified for potential flare ups.